Evan graduated from Texas A&M University in May of 2012 with a Bachelor of Science in Petroleum Engineering. He began playing sports at an early age and became most passionate about baseball and basketball. Before he knew about CrossFit, he preferred training with free weights and focusing on large muscle groups each workout, having read that free weight exercises and compound movements are generally more beneficial than the isometric exercises that are performed on machines. However, he’d never realized how crucial variety is to a workout regimen. Having gotten into a fitness rut doing the same lifting and cardio routines over and over, Evan was ready for a change. Through work, he became friends with Coach Ben and casually began to talk about exercise and athletics, something they both shared a passion for. Evan decided to try out a Saturday Community WOD at 925 and see what “this CrossFit thing” was all about. 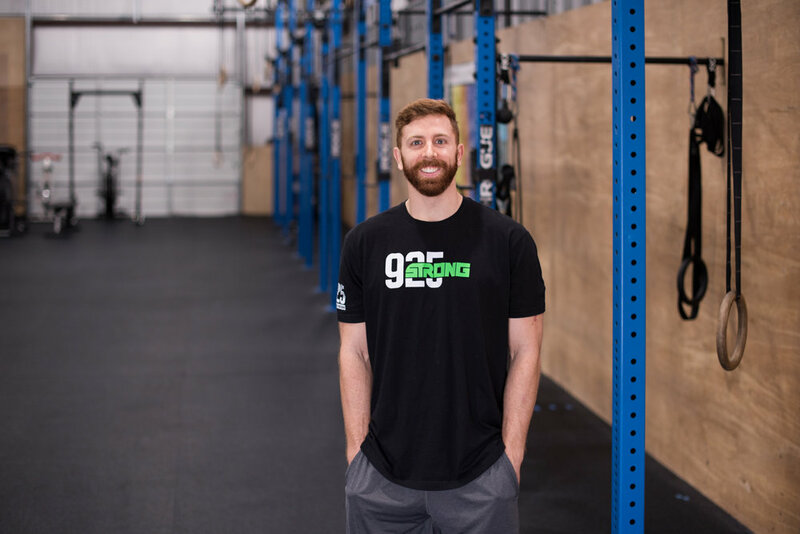 After about six months of participating in the Saturday workouts and incorporating some CrossFit elements of his own into his workouts at his former gym, Evan decided to do just CrossFit programming for a month and see how it went. After discovering many new exercises that made him sore in muscles he didn’t know he had, learning more about how different exercises are tailored to certain muscle groups, being exposed to more variety than I thought possible, and really enjoying the thrill of exercising with others and being pushed by others (along with some humbling WODs), Evan began to realize how much more there was to being “fit” than he had previously been taught and he wanted to know it all. This is when he became hooked by CrossFit. Evan loves how you never “arrive” in CrossFit, so to speak, and the fact that there is always something more to learn. To him, this makes workouts much more rewarding and much more stimulating. Hebrews 12: 11-13 | No discipline seems pleasant at the time, but painful. Later on, however, it produces a harvest of righteousness and peace for those who have been trained by it. Therefore, strengthen your feeble arms and weak knees. “Make level paths for your feet,” so that the lame may not be disabled, but rather healed.